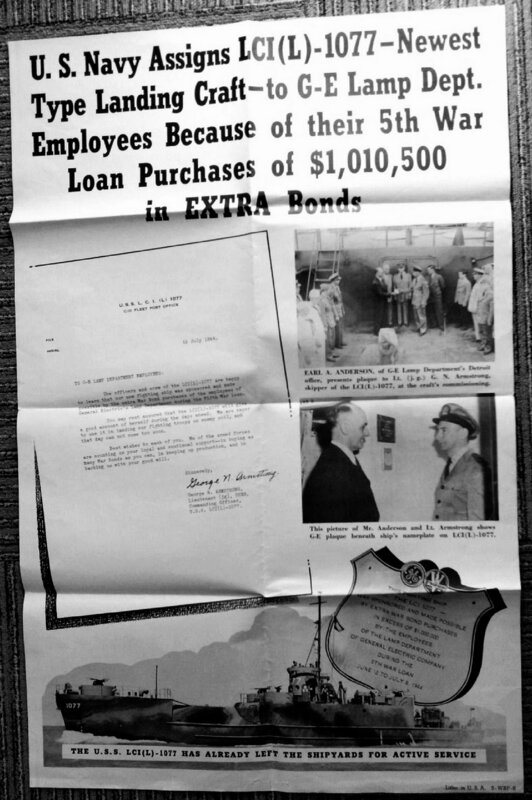 Laid down, 27 June 1944, at DeFoe Ship Building Co., Bay City MI. 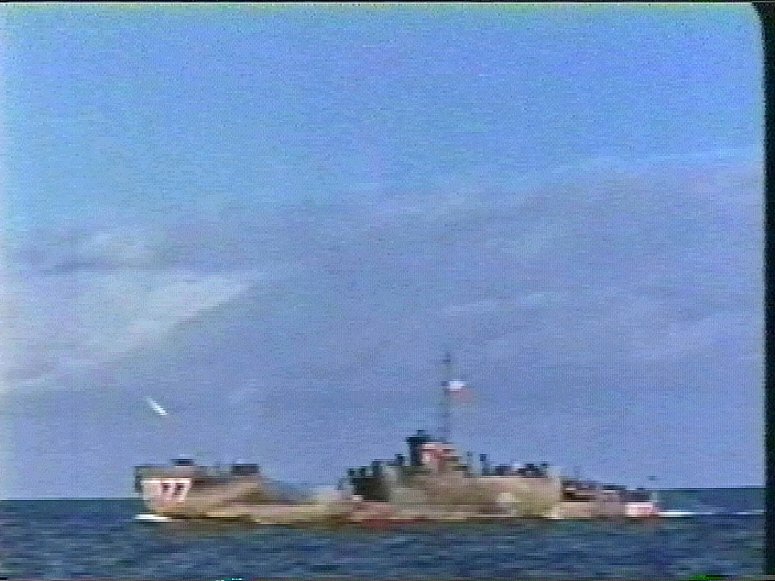 Reclassified Landing Craft Infantry (Rocket), LCI(R)-1077, 15 March 1945, . 30k USS LCI(L)-1077 under way, date and location unknown. 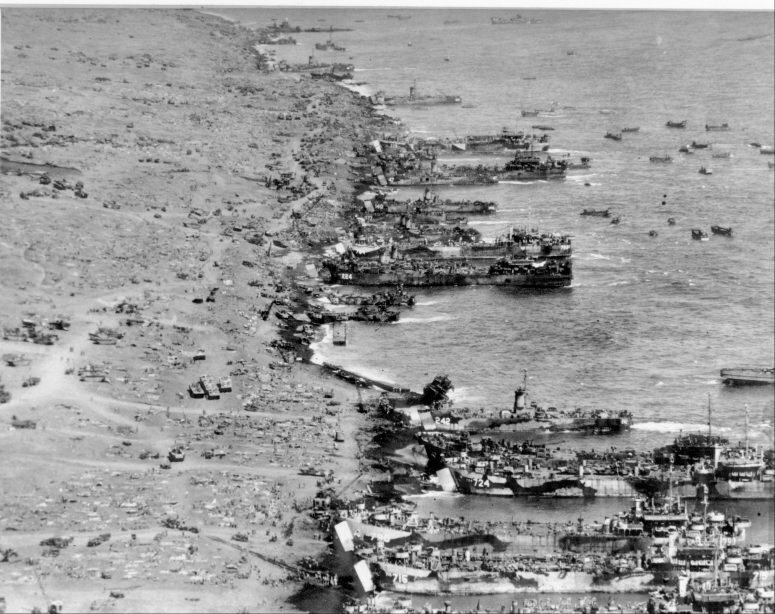 121k Aerial view of the Iwo Jima beachhead, circa February 1945. Ships that can be can identified include USS LST-715, USS LST-790, USS LST-724, USS LST-224, USS LST-784 and USS LST-775. 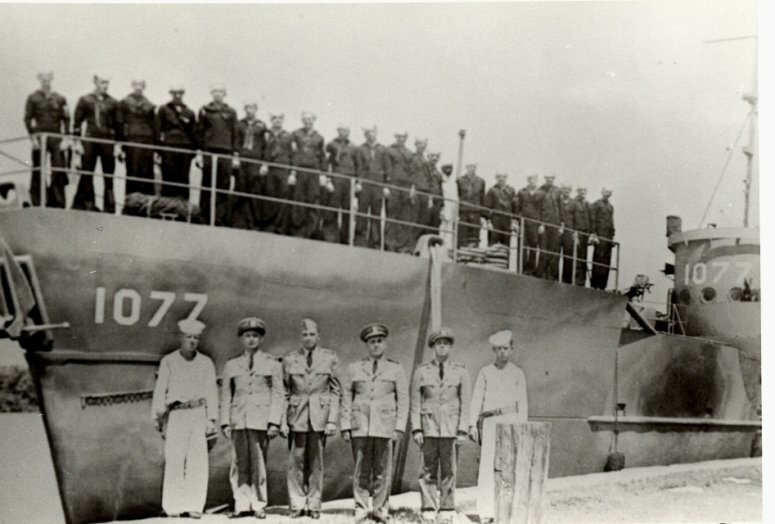 LSM's include USS LSM-242, USS LSM-140, USS LSM-47 and USS LSM-43. LCTs include LCT-892 and LCT-1029. The one lone LCI that is identifiable is USS LCI(L)-1077. 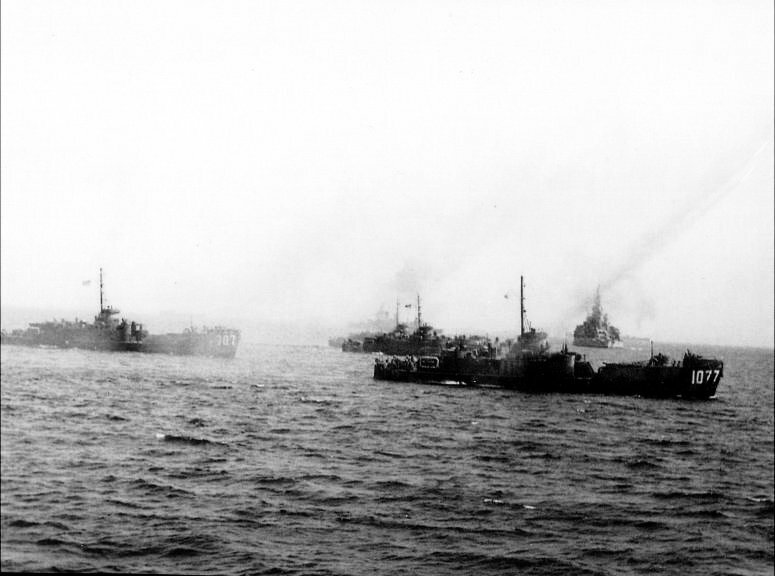 60k USS LCI(L)-1077 and USS LCI(L)-707 along with other Flotilla 21 ships provide fire support for the Iwo Jima landings of 19 February 1945. The battleship in the background is unidentified. Photo courtesy Larry Roth RM1/c and Lt(jg) Ross Fragle USS LCI(R)-1077.